Fill a large stock pot half full of water & bring it to a boil. Place dough on a floured surface. Dough should be a little sticky. I usually divide my dough into 4 chunks or so. With my hands, I pat the dough to about 1/2″ thickness. (Make sure there’s enough flour under the dough so that when you cut your dumplings, they will be easy to pick up.) 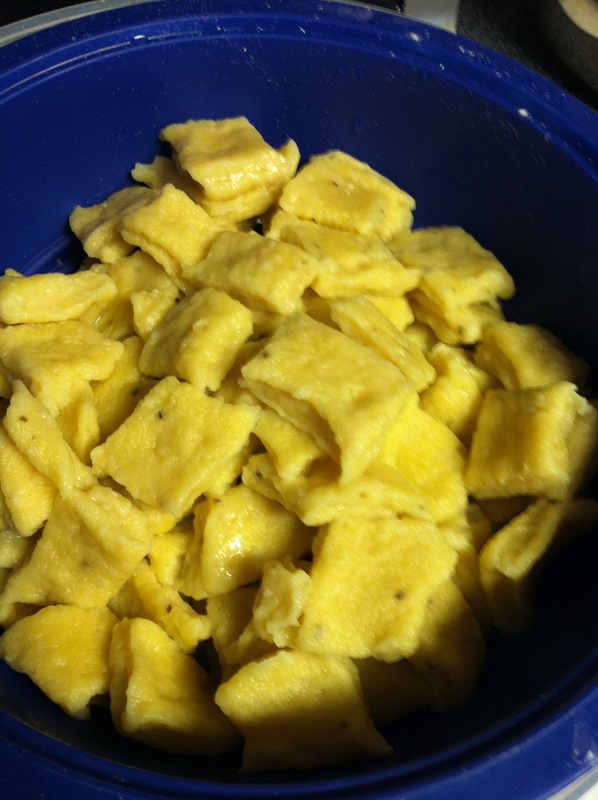 Cut dough into 1″ squares. 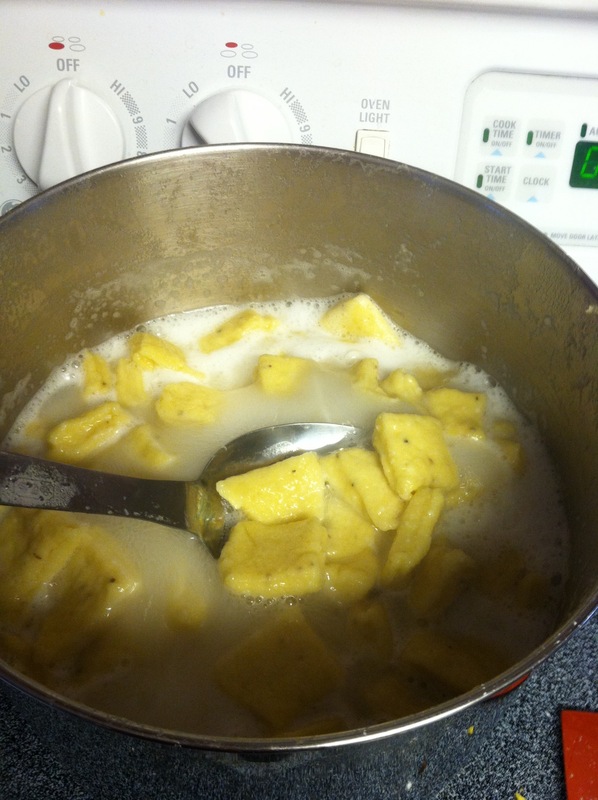 This entry was posted in Family, Recipes on February 28, 2013 by Dawn Roberts. Those would be freaking amazing with pesto on them! We tried making these today! The initial product is great! When you freeze them, how do you reheat?